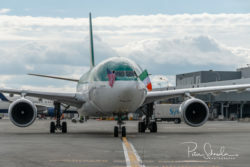 On May 18, yet another European airline started non-stop service to Seattle: Ireland’s Aer Lingus is now connecting Dublin with Seattle four times weekly. 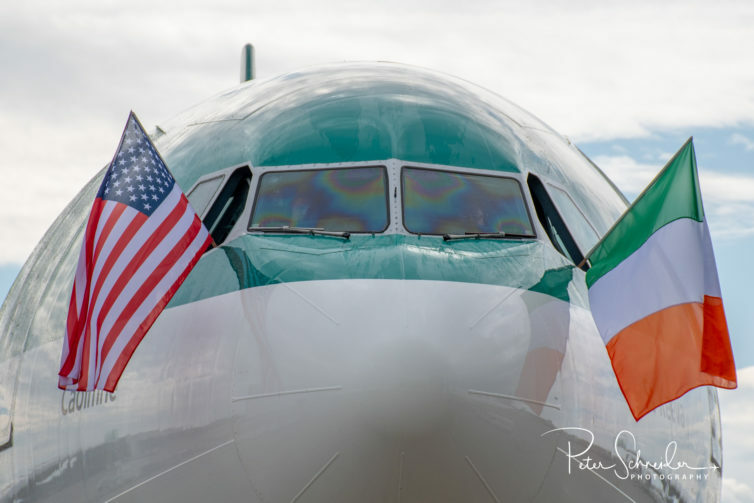 The first ever pre-cleared transatlantic flight into Seattle, Aer Lingus EI 143 touched down ahead of schedule at 4.55 p.m.
Until this inaugural, Dublin was the largest European city without direct service from Seattle. 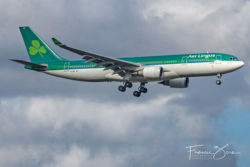 Aer Lingus is using an Airbus A330-200 on the route, and flies on Monday, Wednesday, Friday, and Sunday from departing at 5.35 p.m.
With the strong demand Aer Lingus is seeing in this route, the airline is apparently already looking at eventually increasing the frequency from four to seven flights per week. 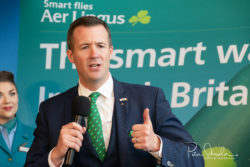 In addition to Dublin serving as stepping stone to other European destinations, on westbound flights passengers will get to clear U.S. Immigration and Customs in Dublin. 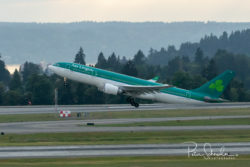 The flight then arrives in Seattle pre-cleared and passengers will deplane and collect their bags as if they were arriving on a domestic flight. 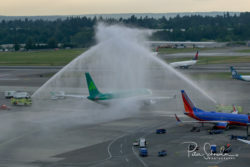 Upon landing, the Port of Seattle Fire Department provided a customary water-cannon salute. 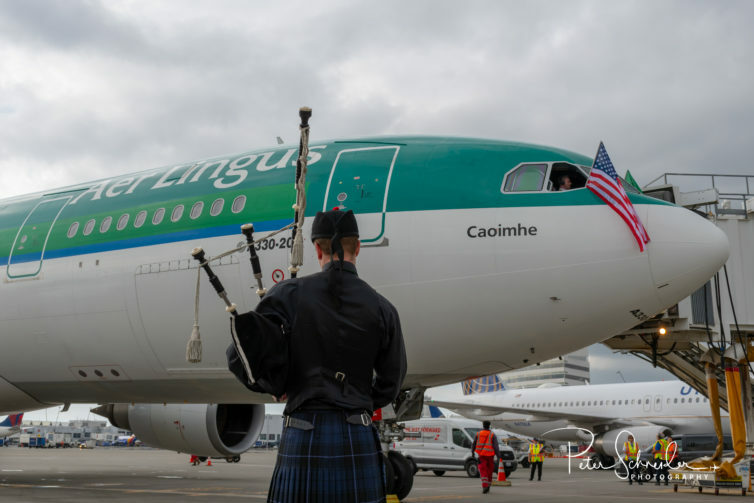 Also, a bagpiper was playing while the Airbus A330-200 taxied to the gate and parked. 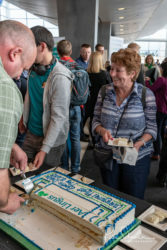 Inside the terminal there were plenty of festivities: speeches, a ribbon cutting, and plenty of cake. 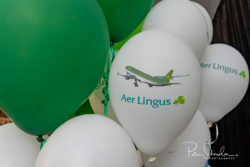 There was lots of green around the gate, from balloons to uniforms and banners. 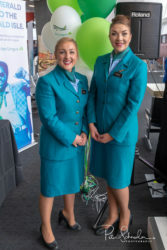 Alaska Airlines was represented, making passengers aware of their global partnership with Aer Lingus and and the ability of being able to earn miles for mileage plan members. 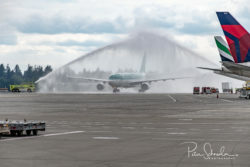 The flight was turned around efficiently for departure, and while taxing out to the runway, the fire department provided another water cannon salute. 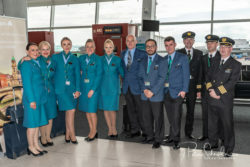 Aer Lingus flight 142 to Dublin departed pretty much on time at 7.33 p.m. 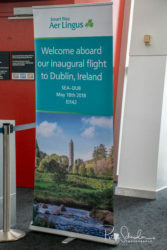 The post Hello, Dublin! 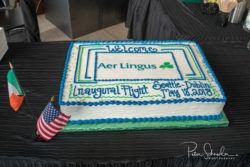 Seattle Welcomes Aer Lingus appeared first on AirlineReporter.